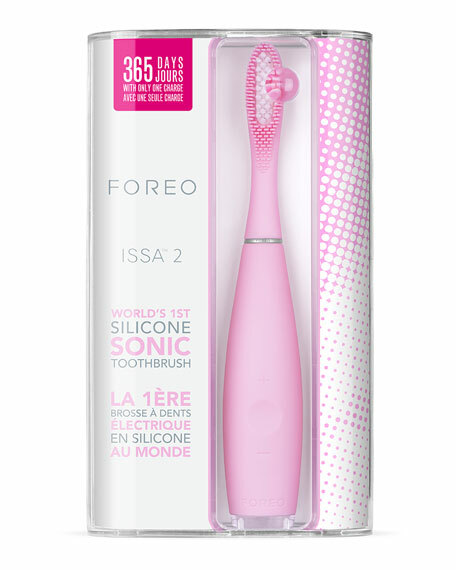 With ISSA 2, your search for the perfect toothbrush has come to an end. 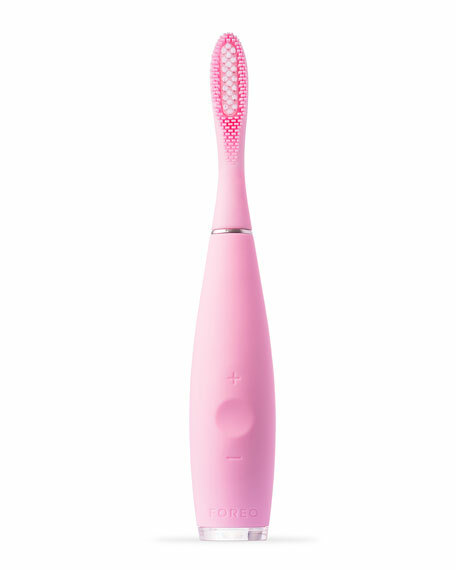 This rechargeable electric toothbrush from FOREO creates ever whiter and brighter smiles. Thanks to Sonic Pulse Technology it combines micro-sweeps and a unique hybrid brush head to remove plaque, stains and prevent tartar build-up and cavities. The brush head's inner PBT polymer bristles remove plaque build-up while the outer ultra-soft silicone bristles gently massage the gums and inhibit over-brushing, preventing gum recession and damage to tooth enamel. Now twice as powerful, with 16 adjustable cleansing modes and up to 11,000 high-intensity pulsations per minute, ISSA 2 gives you full brushing control. 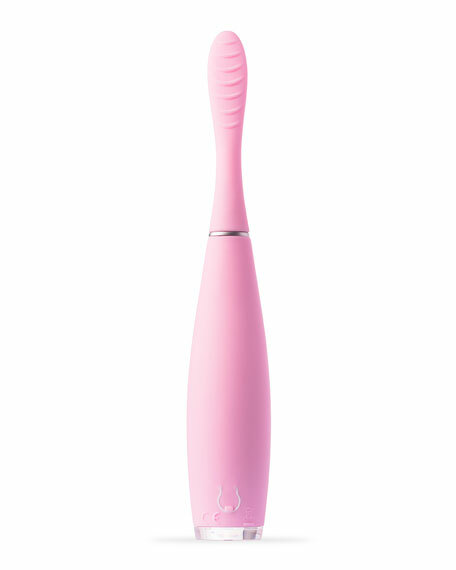 Completely waterproof and ergonomically designed, with a built-in timer and a 3D flexible brush head for a healthier mouth, ISSA 2 is meant to be used in the same manner as a manual toothbrush, preferably at least 2 minutes twice a day. Lightweight and easy to carry, ISSA 2 is USB-chargeable with no bulky charging dock - plus each 1-hour charge lasts up to 365 days of use! Every ISSA 2 comes with a 2-Year Limited Warranty and a 10-Year Quality Guarantee.